To achieve that ideal, a school begins with a solid and well-articulated mission. At Saint Andrew's School, our mission is to develop every child in mind, body and spirit. Recognized as a top private school in the Episcopal tradition, we are a day and boarding school for students in grades Pre-K through 12 and serve 1,280 students from over 40 countries and several states. Just five miles from the warm waters of the Atlantic Ocean, our campus is located on 81 acres in the heart of Boca Raton. From our beloved banyan trees to our campus lake, we are truly blessed to be in such a magnificent part of South Florida. Our philosophy is that children need a balanced approach to education. We believe that arts, athletics, extra-curricular offerings, service, wellness, and spirituality are complementary and supportive companions to our academic program. In addition to our robust academic offerings, we have 65 sports teams, weekly chapel services, international exchanges, 25 performing arts groups, compulsory service projects, and a number of additional activities such as robotics and video production. We also offer immersion programs that expand our students’ academic curiosity while also satisfying their adventurous spirits. Experiences such as helping to rebuild New Orleans, studying Darwin’s living laboratory in the Galapagos, and exploring the intersection of mathematics and architecture in Greece offer our students the opportunity to take risks, reach beyond their comfort zones, and leverage their passions into meaningful forms of action. Our membership in Round Square includes a global network of 180 schools in 40 countries across 5 continents. 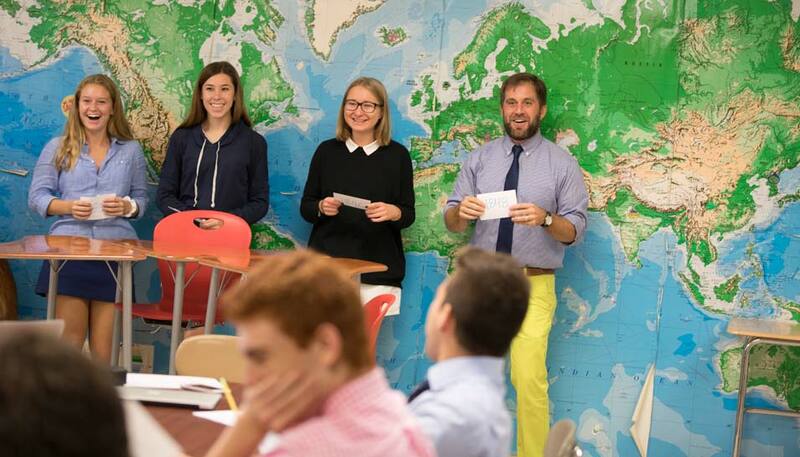 Through a holistic approach to learning through six ideals: internationalism, democracy, environmentalism, adventure, leadership, and service, Saint Andrew’s School and its fellow Round Square schools recognize a responsibility to shape the way the next generation of leaders understand, prepare for, and respond to the world. We invite you to join our family and experience how a strong mission can develop a child’s mind, body, and spirit.